the large coop event is now confirmed, December 4th 2011 @21.00 Fin time (20.00 CET). I will name slots for just you guys, please look for -CiA-. Basic infantry, some humvees and trucks for transport, possibly choppers. LDDK will provide armour and airsupport, unless someone from CiA wishes to have a go at these technical gadgets? About mumble, I think we can skip this part, I will group all leaders into one single squad and you can communicate via voip or typing. Does this sound agreeable? You will of course fight alongside your own unit. About two weeks ago several Western cities were devastated by series of explosions. The United states armed forces with co-operation of a small contingent of German KSK troops have been dispatched to Takistan in an effort to locate and eliminate certain individuals believed to be responsible for the attacks. It is also necessary to destroy the Takistani army so it may never again pose a threat to the peace-loving West. Unfortunately the locals have not met us with open arms, as we hoped, but have activelly opposed our movements. The diplomats failed, its up to you now. This operation will not be easy. The enemy is well informed about our situation and will no doubt do their best to terminate our presence. Expect ambushes, air threats and enemy armour. Enemy surface to air weaponry is particularly effective and abundant. The local militia has taken up arms and is trying to slow down our advance to the north so be on the lookout for these people. We have secured some area around the airfield but once you leave the blue rectangular you are entering enemy territory. The time is 06.20 hours local time. Good luck! -Find a eliminate the local warlord. -Locate Takistani army SCUD launcher and destroy it. -Eliminate the Takistani colonel Aziz. -The Takistani army has a supply base in Garmsar, destroy the base and everything in it. -If possible, destroy all enemy presence at the enemy airfield but this is not a priority mission (optional). The allied factions have been assigned vehicles and are located at starting points of respective faction. In addition to vehicles, ammo and weaponboxes are also available at starting points. Had a great time with this mission. I like the idea of several teams all having to leave from a central base and then (if enough survive initial missions) meeting back up to assault a large objective. At least I’m assuming thats what was supposed to happen. It was cool getting to provide CAS for our local team, I wish I had not vilolently met with the ground upon returning to base though so you guys didn’t have to wait so long for exfil (I really feel bad about that one). All in all I’m looking forward to seeing some of the FRAPS footage and ultimately playing something large like this again sometime! Also: I vow to use Landing Autopilot in fixed wing aircraft until I put some SERIOUS practice time into my landings. Accidents like this one just make me mad as I could have avoided it had I not been cocky. Won’t happen again! Good night everyone! I killed the one guy on the who shot savage down, but let’s not talk about that. Awesome game, Our team provided guidance for Stoops’ Jet which Bombed the hell out of the SDUD launcher. After some problems with exfil we finally we got inserted, by Winters, near the Folk’s forces and then we moved to the second objective without seeing much fighting. Then we once more waited for a chopper and got inserted to the last objective. during all this, LDDK had cleared a third objective. Misha didn’t fit in so Kenworth had to make two runs with the little bird. After being reunited with Misha, we started moving towards the objective. Then our team leader and few others got hit by few sporadic mortar rounds, I believe without casualties. Now we rethinked our strategy, moved a bit north and then my game ended, as our team encountered a rogue enemy and somehow I got shot. a long story short but I’m really tired and got an early morning someone please make a more detailed coverage! I consider this coop far more succesful than the last sunday’s. A lot more organized and everything was pretty clear all the time. Awesome game, waiting a lot to hear about other teams and to see the frapses from it. PS. Kenworth Nice pictures! I feel the pain man! (that’s me relaxing sitting in the picture). First of all I would like to thank LDDK for hosting and organizing and Spinoza for helping us. Thanks to Folk for kindly letting us use their TS. 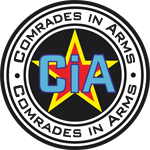 Thanks to CiA regulars for participating. We were shorter in number than I expected but we had enough people to get the job done. It was amazing experience for me, truly the most epic mission I have played online. Most stressful part was managing communications as I was using both CiA and Folk TS and ingame VOIP. We had some really bad luck with flying vehicles, regardless of the skilled pilots among us. Air vehicles were unexpectedly very sensitive to ground touch But that got us in situation of being stranded in the middle of the desert far from friendlies, and it took some effort to get us rescued. Near the mission end we had only one combat casualty, but in the last 20 minutes all except me and David were KIA. Out of all units, only five of us managed to complete this 4 hour long mission. What a day! That’s all for now, as I am a bit tired after this I will write more detailed AAR tomorrow I hope. Hope everyone enjoyed the game, I dare say it was a success. Yes indeed, after a serious firefight the remaining SpecOps and KSK troops finished off Colonel Aziz and completed Operation Retribution. Main bulk of LDDK had a slight incident with the Stryker, the driver had a moment of daredevil bravado and decided to drive full speed down a hill. Apparently one of the wheels hit a pebble and the whole tin can went flying and exploded. I was the driver in the M1A2 Tusk and had a easier time but met two Metis missiles just south of Garmsar. The crew survived but perished later in the Stryker. Ce la vie. I confess I did not bother to check the content of the caches/boxes, I assumed that atlest one of them would have laser designators. Mea culpa, mea maxima culpa. If anyone frapsed he whole thing, I am really looking forward watching. Thank you again, the world is now safe again. Or is it? Read more after action reports in our forum, go to the forum.